Do My Senior Parents Need Immediate Help? My sister, who lives in the Columbus area, usually helps out Mom and Dad, because my husband and I live out of state. Although we try to visit during holidays, my sister is the one who takes care of my parents on a regular basis. When we visited at Thanksgiving, I was appalled by my parents’ condition. Both Mom and Dad have lost weight. Mom is really unsteady on her feet, and although she insisted on trying to help prepare the meal, we had to watch to make sure she didn’t fall. Dad refused to wear his dentures, saying they hurt his mouth, and when I tried to persuade him, he smacked my hand away. Dad was also complaining because my sister won’t let him drive anymore. He yelled at the kids for playing and frightened them. He just doesn’t seem like the calm, even-tempered father I remember. When I tried to talk to my sister, she told me she’s suggested every kind of help possible—home health, senior daycare, even a nursing home. Dad has absolutely refused to consider anything. I’m not an expert so I don’t know how bad their condition is. How can I find out what to do or where they should go? Do Your Parents Need Immediate Help? It’s not uncommon for adult children who don’t live nearby to be shocked at a parent’s decline. Oftentimes, family members who see them frequently don’t even notice the signs. Your sister is certainly doing her part by noticing there’s a problem and attempting solutions. Some of the signs a parent may need help are covered in our blog here. Your concern is whether they need help immediately and, if so, how to get it. Weight loss and a change in temperament are both warning signs, but your parents are in no imminent danger from those. However, I am concerned by your mother’s unsteadiness. She could easily fall. Falls are the leading cause of injuries—fatal and nonfatal—among seniors. Burn marks on cooking ware that may indicate your mother is forgetting to turn off the stove. Unsafe or cluttered pathways in the home that may lead to a fall. Failure to take life-saving medication, such as cardiac or diabetes medicine. Skin breakdown, which may cause infection. Confusion when performing daily tasks. Use of second-floor bedroom if a parent is unsteady on their feet. Rotted food in the refrigerator or cabinets. Hire a home health aide to help out and commit more time to their care. Move them in with you or your sister or have your sister move in with them. Find a nearby assisted living or skilled nursing center to keep your parents safe and happy. If you decide your parents need to move, the general rule is that if an adult needs help with two or more activities of daily living (ADLs), such as walking, eating, dressing/grooming, toileting, bathing and transferring/standing up, they would do best in a skilled nursing center. Otherwise, they may enjoy assisted living. Please don’t consider either placement permanent. At all our MacIntosh Company care centers, our goal is to help your parents become as independent as possible while staying safe. 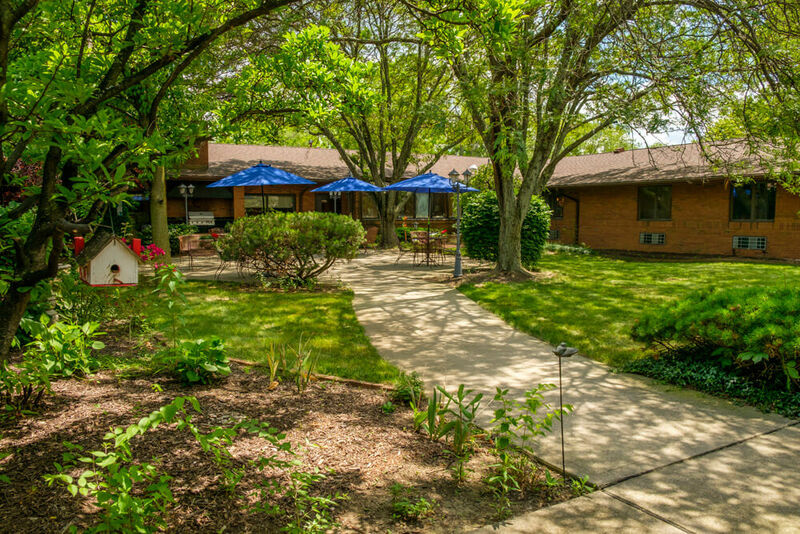 We’re very proud of residents who needed our skilled nursing care initially or temporarily and then were able to return to assisted living or independent living! Their doctor can help you with an assessment, information, and recommendations. Please feel free to give me a call at Whetstone at (614) 457-1100 or contact one of our other Central Ohio centers online if we can help. While no one can perform an assessment over the phone, we can tell you how other Columbus-area residents have handled similar situations. You may also want to search our blogs to find additional information to help. Please keep in touch and contact any of our care centers if you have questions.